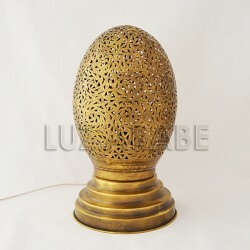 Moroccan table lamp of pierced and hand-graved brass. 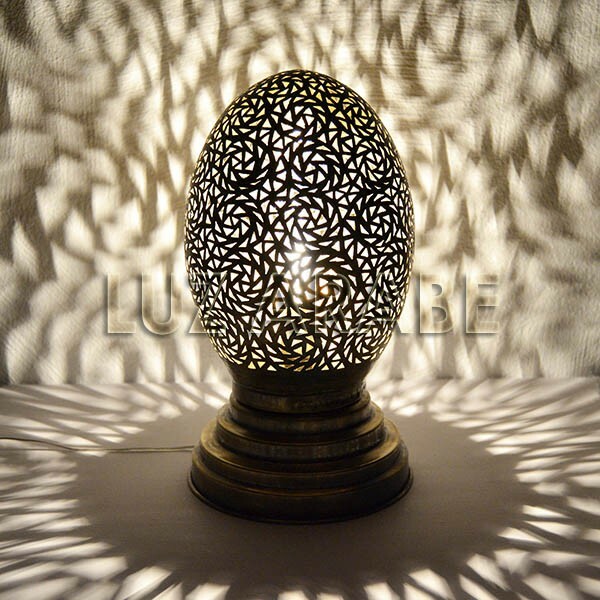 It introduces a set of reflections of drawings, creating a very elegant and relaxing indirect lighting. Each lamp incorporates the corresponding wiring.